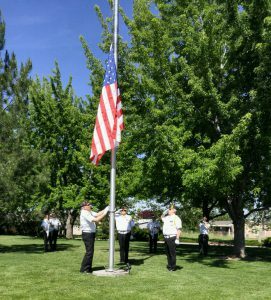 The Post 113 Honor Guard participates in Honors ceremonies at the Idaho State Veterans Cemetery. 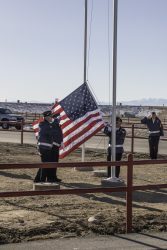 Nine members of the Post 113 Honor Guard participated in a Flag Raising Ceremony at the CS Beef Processing plant in Kuna, Idaho. 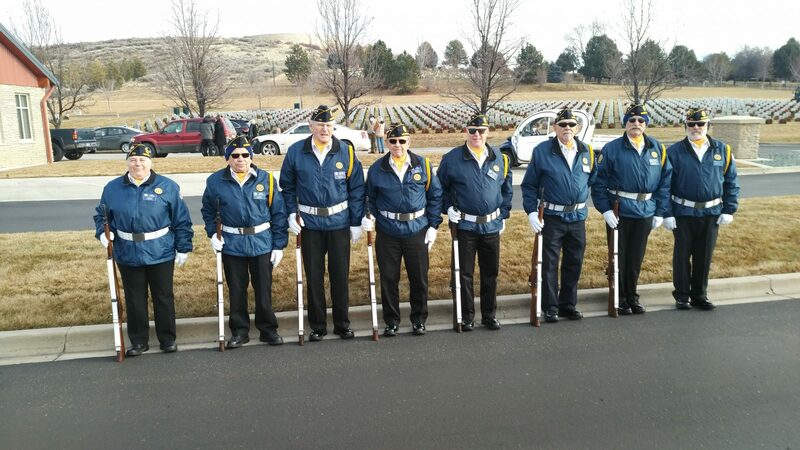 Participating were: Second Vice Commander Doug Hanks, Honor Guard Captain Mike Hitz, Adjutant Walt Thornton, Sergeant-at-Arms Doug Killiam, Honor Guardsman Brant Bishop, Honor Guardsman Van Howell, Honor Guardsman Bryce Keck, Bugler Mike Rowels, and Photographer Thom Juul. Attending were members of Kuna VFW Post 7019, Kuna Mayor Joe Stear, and employees of CS Beef Processing. 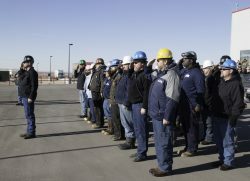 CS Beef Processing Veteran Employees Stand Formation During the Flag Raising. 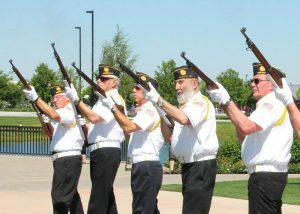 Members of the Honor Guard under the command of Capt. 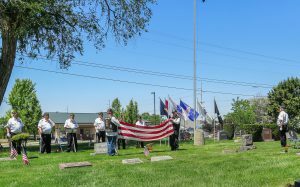 Mike Hitz perform a three-volley solute at the Rock of Honor Ceremony at Kleiner Park in Meridian. Rifle Squad members: Stan Lupkes, Walt Thornton, Don Burton, Doug Killam, Brant Bishop, Steve North, Van Howell, and Doug Hanks. 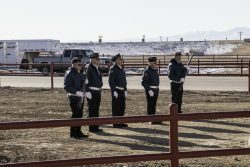 Members of the Honor Guard under the command of Capt. 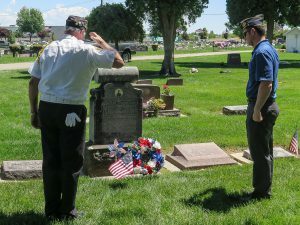 Mike Hitz perform a Flag Folding Ceremony at the Meridian Cemetery. 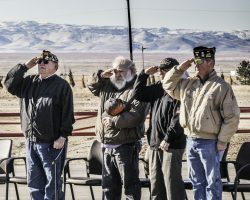 Also participating were Commander Matt Wrobel, First Vice Commander Steve North, Second Vice Commander Doug Hanks, Immediate Past Commander Stan Lupkes, Chaplain Thom Juul, Legion Riders commanded by Todd Larkin, and State Representative James Holtzclaw. Rifle Squad: Adjutant Walt Thornton, Brant Bishop, Gerald Oliver, Don Burton, Doug Killam, Van Howell, and Stan Lupkes. The Pledge of Allegiance was led by Korey and Tyler Magdaleno.. The National Anthem was sung by Kay Bododzhanov. 2nd Vice Commander Doug Hanks and State Representative James Holtzclaw performed the Wreath Laying Ceremony at the grave of Lloyd E. Hutcheson. Lloyd E. Hutcheson was killed in action in France during World War I. He is the namesake of Post 113. 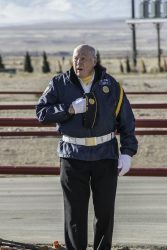 The honor guard commanded by Capt. 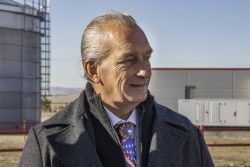 Mike Hitz performed the Flag Raising Ceremony at Genesis HealthCare in Meridian. Flag bearers: 2nd Vice Commander Doug Hanks, Adjutant Walt Thornton, Chaplain Thom Juul. Rifle squad :Stan Lupkes and Van Howell, Bugler Mike Rowles.